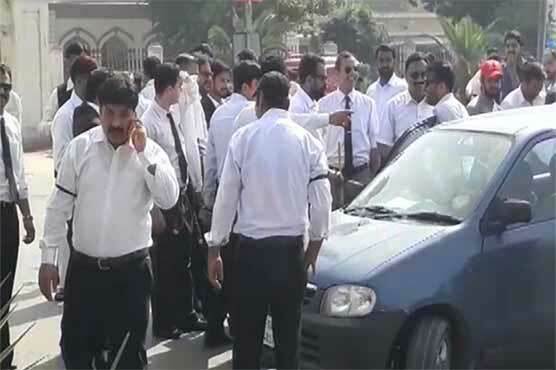 Bar association in Faisalabad held a protest against police for lodging case over torturing security officers in Faisalabad. According to details, the lawyers blocked Zila council chowk for traffic and chanted slogans against the policemen. They also boycotted court proceedings in protest against CPO Faisalabad and SHO Dijkot. Meanwhile, the officers filed a terror attack case against the lawyers that sparked protest.